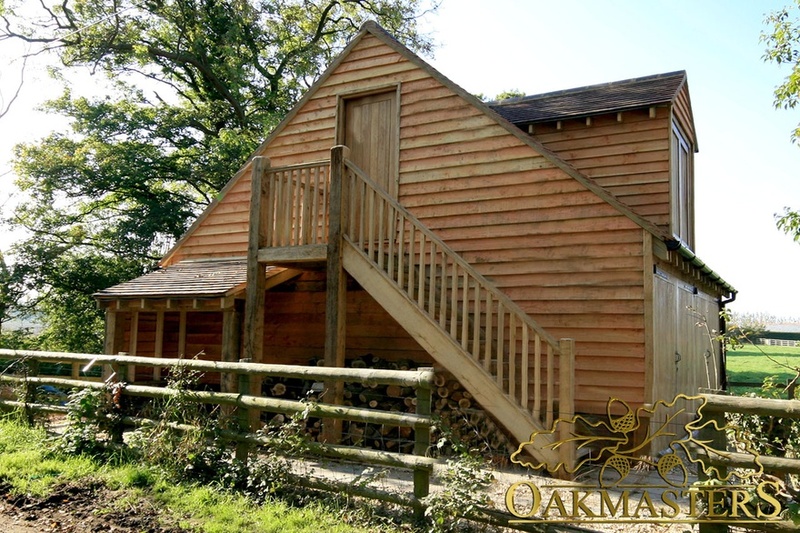 Traditionally when you customise an oak-framed garage you add a little cost to gain personality and character. You pay a little more to get everything just as you want it to be. But, this is not always the case. There are many ways we can help you customise our oak-framed garages to create exactly the same look but to save quite a bit of money on your overall costs in doing so. And, because we’re nice like that, we’re going to show you exactly how to do it. So, if you’re looking for all the lifelong value and beauty of oak for your garage, but also hoping to bring your project costs down, then read on to find out how it’s done. Our team of craftsmen can design and manufacture bespoke, luxury oak garages. So, the ways you can customise them, personalise them or combine them with different materials to stunning effect is pretty much endless. Thankfully, we’re here to advise you and to suggest the best ways to achieve the effect you are after – but, in theory, the sky is the limit. We have also created a range of ready-to-build oak garage designs that help to keep costs down but still deliver a beautiful finish. And for many customers, it is the convenience and immediacy of such solutions that is attractive. Of course, there are always ways you can customise even these designs. And you can do so either to add a personal stamp or to reduce costs. What do I lose when I cut the cost of my oak garage? Actually, you lose barely anything at all from the look of your garage. To all intents and purposes, you still have an incredibly attractive oak garage. Which is, after all, what you have set your heart on. This two-berth garage has a loft room and two dormers. The standard cost for this would be around £31,000. But you could easily reduce this by 56% with a little customisation – and get an almost identical looking oak garage for around £13,500. And that’s some saving – with no real losses. Here are the customisations you’d need to make. Essentially very little from the outside – but you have swapped some oak features for an alternative but equally responsibly-sourced softwood. Where these are used are either in places that are not visible from the outside or are not structurally central, so the beauty and longevity of that oak is still there at the heart of your garage. And the savings are incredible: it’s nearly £17,500 cheaper. Of course, if you wanted to not make any of these changes you can do so and still make significant cuts to the cost of a very high-quality oak garage. Looking for a beautiful oak garage that you can customise to make savings? It’s simply not true that customisation always creates cost as it adds value. There are many ways our team can help you drive down the cost of that oak-framed garage without compromising the look that you first fell in love with. Just call us on +01444 707190 to start exploring your options.